Carmarthenshire Fungi: Fungus Foray at Pembrey last Sunday. Fungus Foray at Pembrey last Sunday. 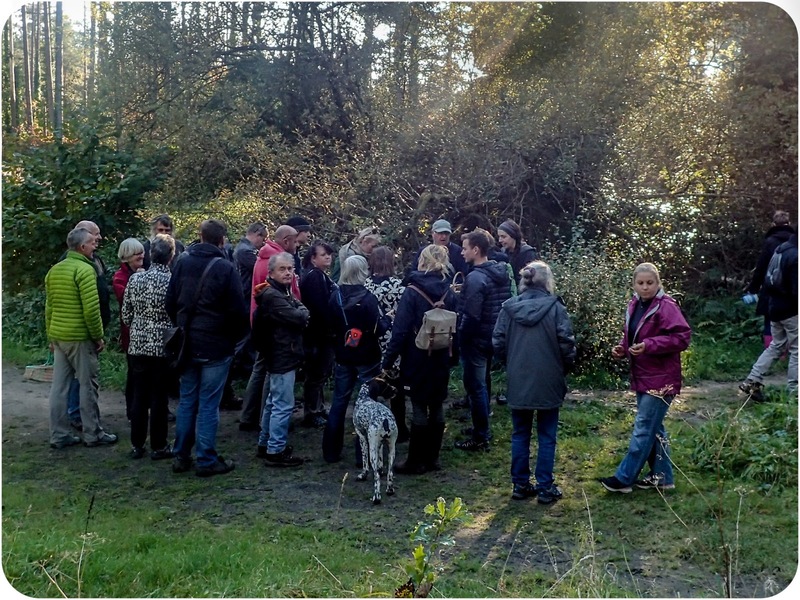 Over 25 people plus a dog ventured out last Sunday on the Llanelli Naturalists annual fungus foray to Pembrey Woods . Again this year it was a very successful event as, even though we have had a very dry October, we didn't have to travel far to find a number of interesting species. In all we must have seen over 30 different fungi and a list will shortly be available once they have been sorted out. 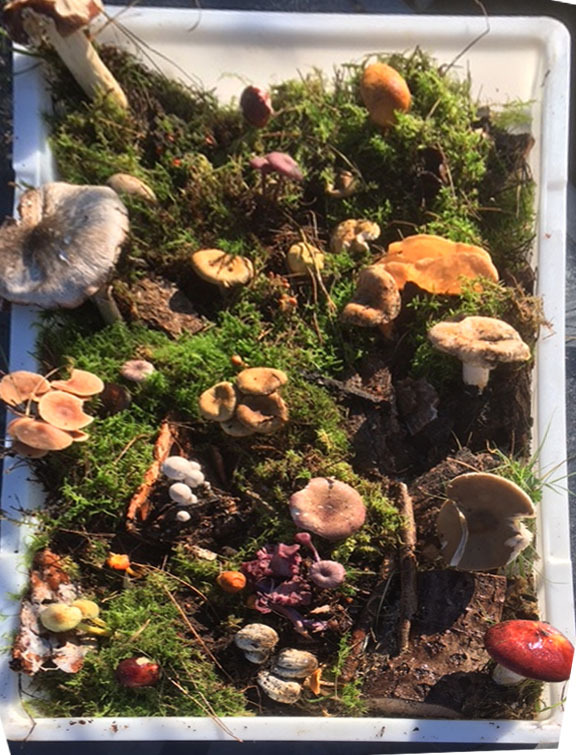 Many thanks also to Stephanie Thomas who brought along a large colourful tray of fungi she had collected around the forest over the two days previous. This allowed everyone to have a "sniff", a taste and a poke around whilst Philip gave everyone an instructive chat on what to look out for before we set off. I loved your box of fungi Stephanie. A great idea. Keep trying to upload your photos.